When the war was finally resolved through the Peace of Westphalia (1648), any remaining enthusiasm for religious warfare had evaporated. People had had enough. A yearning for peace led to a new emphasis on toleration and growing impatience with religious disputes. The scene was set for the Enlightenment insistence that religion was to be a matter of private belief, rather than state policy. In both intellectual and political circles, religion came to be viewed as a source of international and national conflict, as a burden rather than a blessing. The emerging dislike of religious fanaticism was easily transmuted into a dislike of religion itself. The necessity for Catholics and Protestants of various traditions to coexist throughout Europe was now so obvious that it required little argument. No one wanted a repeat of the pointless brutalization and destruction that had just ended. Yet one of the more significant outcomes of this realization, an attempt to find common ground on which all could meet, inevitably led to an emphasis on philosophy and those aspects of European culture that were not overtly religious—in other words, its secular aspects. In England, the civil war was followed by a new crisis. The stability of the Restoration ended abruptly with the death of Charles II in 1685. He was succeeded by James II, a Catholic, who appointed coreligionists to prominent positions in the government, the army, and the universities. 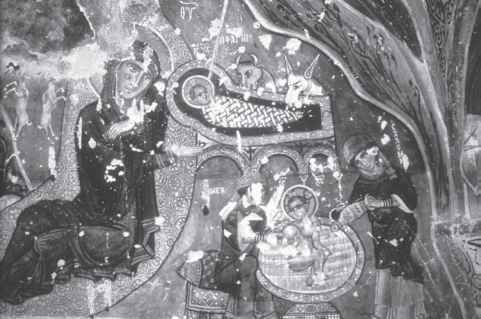 This prompted widespread concern and gave rise to furious rumors of a plot to convert England to Roman Catholicism. A new religious civil war seemed inevitable. A characteristically English solution, however, emerged, defusing the situation. James II's daughter Mary had earlier married William III, Prince of Orange, a firmly committed Protestant with a reputation for tolerance and generosity. A secret approach was made to William: if he were to invade England, he could be assured that strategically placed well-wishers would rally the nation around him. Encouraged by such overtures, William landed in the west of England in 1688, to widespread public support. James soon realized that his cause was utterly lost. In January 1689, he fled England for France. William and Mary were declared king and queen of England in February—but only after agreeing to sign a "Bill of Rights" that guaranteed free elections and freedom of speech. The "Glorious Revolution" had averted another civil war and neutralized the power of religion in English public life.32 It is no accident that John Locke's famous Letters of Toleration were published at this precise moment, arguing for the need to tolerate diversity in religion rather than allowing it to lead to conflict. The public mood had changed. Its iconic significance for the eighteenth century is best seen from the frontispiece to Christian Wolff 's Rational Thoughts on God, the World, and the Soul (1719). This superb piece of intellectual propaganda shows a beaming, benevolent sun smiling upon the world, removing clouds and shadows. A new age has dawned! The darkness of earlier generations will vanish, as surely as night gives way to day! This powerful vision resonated with the hopes and fears of a war-weary Europe. Might this be the way to social, religious, and political stability? This vision also proved compelling to many conflict-weary Protestants who were deeply disillusioned by the violence and fanaticism of the recent religious past. Some Anglican clergy and bishops found its ideas compelling. Deism—a belief in a generic creator God—seemed much less intellectually demanding and tiresome than the trinitarian God of the Christian tradition. It resonated well with the new emphasis on the divine ordering of the world, now emerging from the "mechanical philosophy" of Isaac Newton and his school.34 God could be thought of as the divine clockmaker who had constructed a particularly elegant piece of machinery and who made no demands of anyone other than a due appreciation of the beauty of the creation. Religions of all kinds now tended to be seen as corruptions of an original "religion of nature" that had no priests or creeds. Most religions were later distortions introduced by self-serving clerics who were anxious to secure their social status and exploit the gullible. The appeal of the Enlightenment proved greatest within Reformed circles. For reasons that remain unclear, rationalism gained acceptance in many former Calvinist strongholds. Geneva and Edinburgh, both international centers of Calvinism in the late sixteenth century, were noted as epicenters of European rationalism in the late eighteenth century.35 John Calvin and John Knox gave way to the very different world-views of Jean-Jacques Rousseau and David Hume. In marked contrast, the Enlightenment had relatively little impact on Catholicism during the eighteenth century—unless, of course, the French Revolution (1789) is seen as a political extension of the ideas of the Enlightenment. Pietism developed in a number of different directions, especially in England and Germany. Nikolaus Ludwig Graf von Zinzendorf (17001760) founded the Pietist community generally known as the "Herrn-huter"—named after the village of Herrnhut. Alienated from what he regarded as the arid rationalism and barren Protestant religious formalism of his time, Zinzendorf stressed the importance of a "religion of the heart" based on an intimate and personal relationship between Christ and the believer. A new emphasis was placed on the role in the Christian life of "feeling" (as opposed to reason or doctrinal orthodoxy), an orientation that is often seen as laying the foundations for Romanticism in later German religious thought. Zinzendorf 's emphasis on a personally appropriated faith was expressed in the slogan "a living faith," an idea he contrasted unfavorably with the prevailing nominalism of Protestant orthodoxy. For orthodoxy, faith was about assent to the creeds; for Zinzendorf, it was about a personal, transforming encounter with God, with creedal assent playing a lesser role. Zinzendorf 's ideas soon began to find acceptance in England. John Wesley (1703-91) was a founder and early leader of the Methodist movement within the Church of England; that movement subsequently gave birth to Methodism as a denomination in its own right. Convinced that he "lacked the faith whereby alone we are saved," Wesley paid a visit to Herrnhut in 1738 and was deeply impressed by what he found there. Wesley found the Pietist emphasis on the need for a "living faith" and the role of experience in the Christian life to be very persuasive. His conversion experience at a meeting in Aldersgate Street, London, in May 1738—in which he felt his heart to be "strangely warmed"—led him to travel throughout England, preaching his new understanding of the Protestant religion. Wesley's emphasis on the experiential side of Christian faith, which contrasted sharply with what he saw as the spiritual dullness of contemporary English deism, led to a minor religious revival in England during the eighteenth century.37 Wesley was joined in his ministry by his brother Charles; between them, they wrote some of the best-known hymns in the English language, many of which express the transformative nature of faith and the need for personal conversion. It was their structured approach to Christian devotion that earned them the nickname "Methodists." Yet this emphasis on the experiential side of religion raised the specter of "enthusiasm"—a dramatic, religiously inspired fervor, often accompanied by the agitated body movements and faintings and swoonings so devastatingly caricatured in William Hogarth's etching "Enthusiasm Delineat'd. "38 Many revivalist preachers—including John Wesley and George Whitefield—found themselves torn between sympathy for the idea that a direct experience of God might induce such dramatic effects and concern that its bizarre manifestations would alienate a religiously suspicious public. Somehow a middle way had to be found so as to avoid the religious excesses of "enthusiasm," on the one hand, and the impoverishment of "formalism," on the other. Despite their differences, the various branches of Pietism succeeded in making Christian faith relevant to the experiential world of ordinary believers and in some ways anticipated the success of Pentecostalism two centuries later. Pietism succeeded in lodging Protestantism in the everyday realities of life for many people. It is of no small importance to note that the strongly antireligious tone of the French Revolution during the eighteenth century was partly due to the absence of any real equivalent of Pietism in French Catholicism at that time. In England and Germany, faith was being reconnected with everyday life; in France, that link appears to have been fractured—with massive implications for the future of Christianity in that region. Initially, Methodism was organized as a group of "societies." The Wesleys discouraged their followers from leaving the Church of England, despite the hostility and general disdain they encountered from their Anglican counterparts. In part, this negative attitude reflected the sociological differences between the movements: the Wesleys were gaining a mass following within the working class, such as among miners, whereas Anglicanism tended to see itself as representing both the social and ecclesiastical establishment. After John Wesley's death in 1791, Methodism became a separate denomination organized as a "connection" made up of districts, which were divided into circuits of several churches or societies. The term "Wesleyanism" tended to be used at this stage. The early history of English Methodism demonstrates the innate tendency to fragmentation that is characteristic of Protestantism. Divisions arose over a series of issues, including church order and disci pline—though not, significantly, matters of doctrine. A dispute in the northeast of England led to the "Methodist New Connection" forming in 1797. A decade later, the "Primitive Methodists" broke away, believing that the Wesleyan connection was losing its enthusiasm for revivalism. The Bible Christian Church was founded by a Wesleyan preacher in England's west country in 1815; unusually, it made extensive use of women preachers. Other Methodist groups included the Protestant Methodists and the Wesleyan Reformers. Yet English Methodism also illustrates Protestantism's capacity to set past controversies behind it and secure reconciliation. In 1857 three Methodist groups came together to form the United Methodist Free Churches; in 1907 these were incorporated with the Methodist New Connection and the Bible Christians as the United Methodist Church; in 1932 the Wesleyans, Primitive Methodists, and United Methodists merged to establish the Methodist Church in Great Britain. In this chapter, we have surveyed a critically important period in the history of England—a nation destined to have a major influence on the shaping of Protestantism worldwide, particularly through its missionary enterprises in the late eighteenth and nineteenth centuries. Yet the nation that has had by far the greatest impact in recent years on the shaping of global Protestantism is the United States of America. We must now turn and explore how Protestantism came to be established in what is now regarded as this most religious of Western nations. 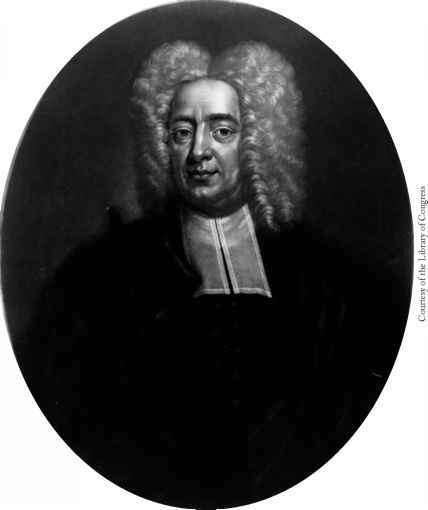 Cotton Mather, the leading Puritan writer who compiled one of the earliest American histories. Mezzotint by Peter Pelham, 1728.